I was first introduced to black soap by my mom, years ago and then i wouldn't even look at it twice : black soap? ewwww, local soap!!! But that was then, now I know better. 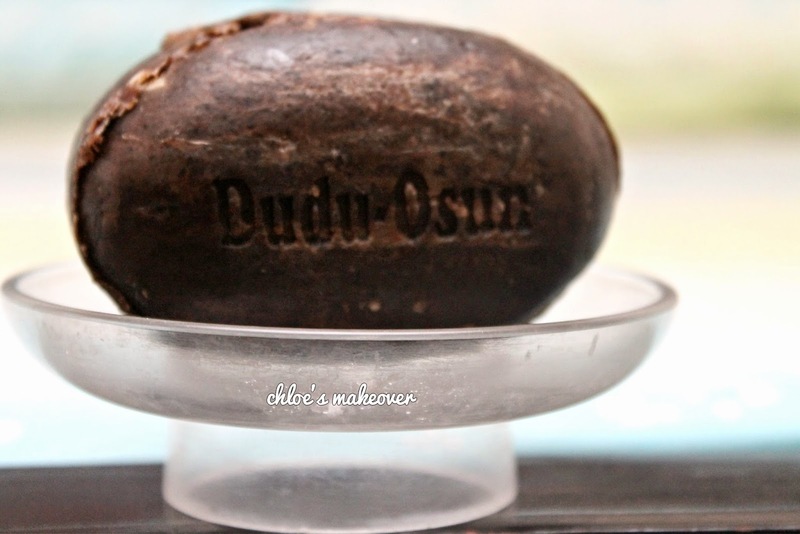 DUDU OSUN is translated as Black Soap in the Yoruba speaking region of Nigeria. 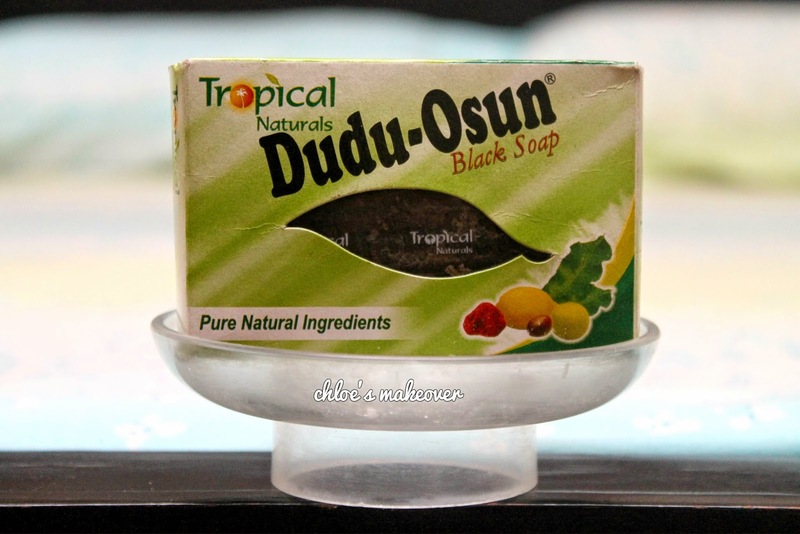 Even though Black Soap has been around for ages, Dudu Osun is branded in Nigeria by Tropical Naturals. According to Tropical Naturals, Dudu Osun Black Soap is crafted entirely from natural ingredients and herbs, many, handpicked in Africa. This soap will have you feeling refreshed and silky smooth. Dudu Osun restores damaged skin and it's helpful in healing chronic eczema, acne, freckles, and dark spots. It is scented with camwood extract, citrus juices, and native honey, with aloe vera and natural vitamins. 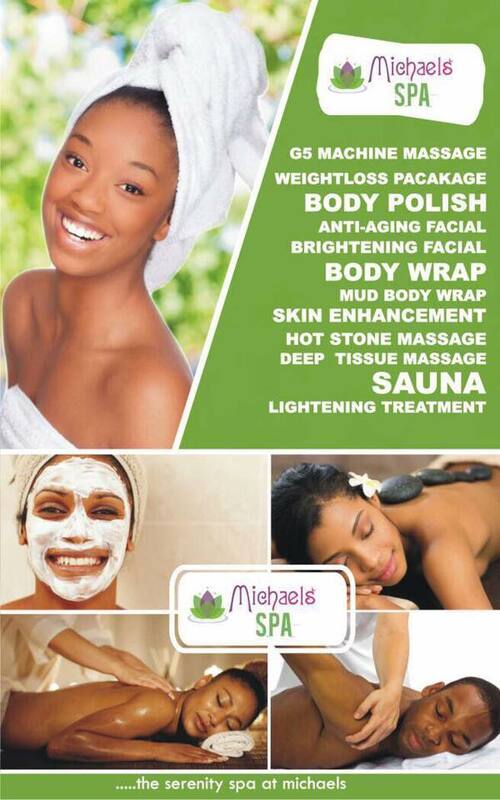 A traditional African solution to refreshed healthy skin, cleanses, nourishes , refreshes and invigorates. Others include, Oil, Water and Natural fragrance. It is 100% derived from natural and organic ingredients, which means no chemical additives. Dudu Osun is relatively large in size; It weighs 150 grams, and lasts 2-3 times longer than your regular bath soap. It foams very well in water, thereby creating a rich lather. Now this is the interesting part if you ask me. This product right here is one that serves 3 purposes for me. I would like to call it an all rounder. As a Face Cleanser: I use Dudu Osun on my face as a cleanser. If its a day I use makeup, i'll take off my makeup with baby wipes then apply my Dudu Osun all over my face and use my foreo luna to cleanse my face, working in as much lather and lifting all trapped dirt and grease from my face. Sometimes, I could leave the soap on my face for up to 1 minute before rinsing it off. As an all over Body Soap: Primarily, this is what a soap is used for right? I've heard some people say " oh my face is too sensitive, I can only use the soap on my body" Why would you want to use one soap on the face and another on the body? Well, Dudu Osun is perfect as a bathing soap and with just a little scrub, you get so much. 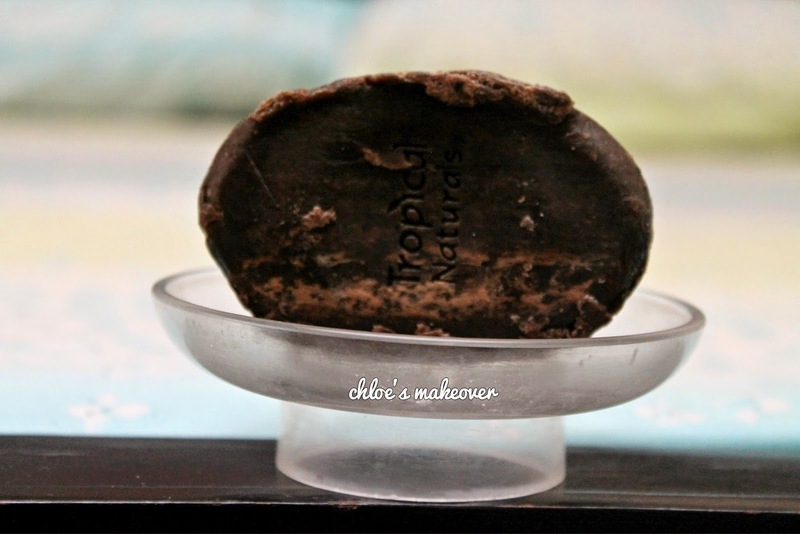 As a Hair Shampoo: the first time someone mentioned Black Soap for washing the hair, I was shocked. That was 2 or 3 months into my big chop, and then I was just a natural hair product junkie. I had terrible itchy scalp and dandruff, I tried onion juice it didn't work, then someone told me to try Black Soap, I thought she was joking. I can never forget the face my friend Lola gave me when i told her, I would try Black Soap on my hair. I did, and to just cut a long story short, i never bought another bottle of shampoo. Dudu Osun is all I use to wash my hair, I hardly even do the co-wash thing. just add a little water to a bowl, drop the bar of Dudu Osun in it and allow to melt, what you get is liquid soap and this serves as shampoo... try it and thank me later. Now this is going to be my personal review and overall general thoughts on this product. As a matter of fact, I didn't start using Dudu Osun recently, I have experimented with it in the past as well as other soaps. 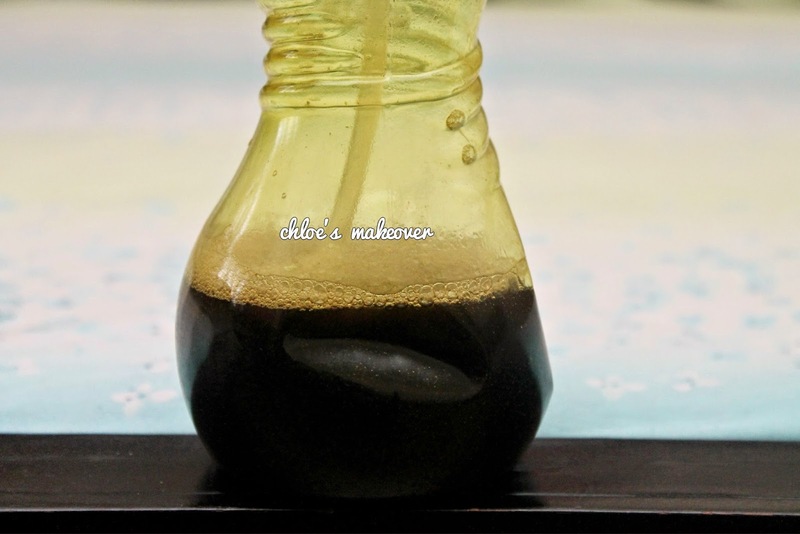 The first time I used Dudu Osun, it wasn't pleasant at all. I felt this instant burning sensation, it was as if my face was going to explode. This isn't unusual, as it contains lime juice. I also noticed some redness around my cheeks and dry patches on my temple. I used it for another 2 or 3days all the same ,then stopped completely. A couple of months after my first experience with Dudu Osun, I decided to give it another try as my Mom did her best to convince me. Honestly, when I got back on it , I still felt the same things I felt before , but this time I was in it for the long run. After a while, I didn't feel uncomfortable with it, infact I didn't notice any stingy feeling on my face, there was no redness and no patches anywhere. 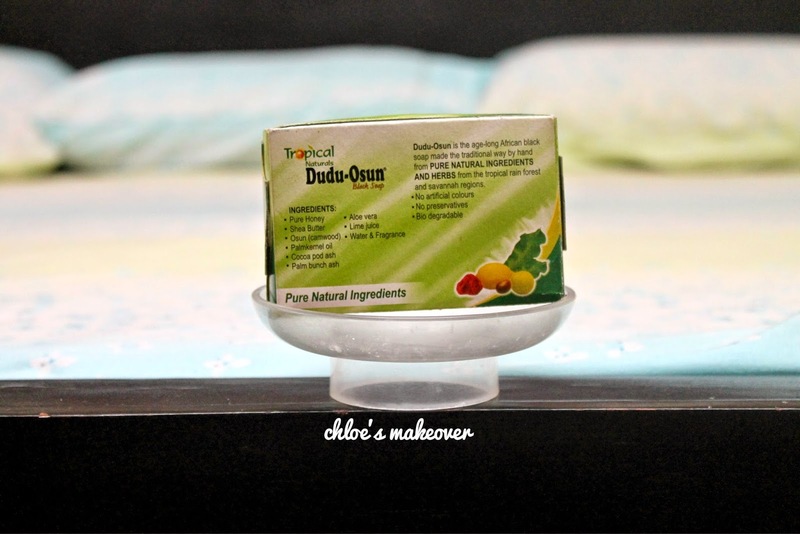 I love Dudu Osun because, it leaves my skin feeling fresh, nourished and naturally cleansed. It does a fantastic job at revoming all traces of makeup, dirt or grease . To avoid any form of dryness, it is important to apply your moisturizer right after using Dudu Osun. 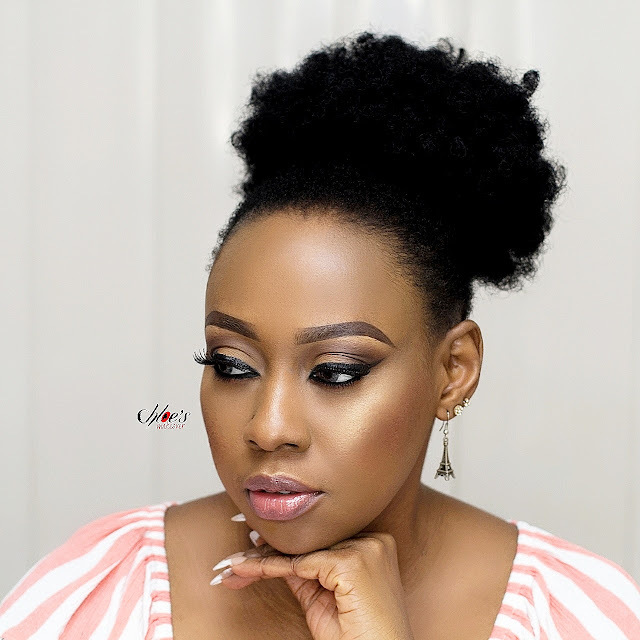 Whether it's for my face, body or hair, Dudu Osun works wonders indeed, my skin has a healthy natural glow, looks and feels smooth and my hair doesn't itch or feel flaky. It goes without saying, I love me some Dudu Osun. Availability & Price: Dudu Osun can be purchased in any supermarket or beauty store around you. I am not sure of the exact price honestly, but it should be in the range or #100 - #200 (naira). I do use it nd felT dsame itchin,it also dryin buh wen u get used 2 it the itchin stops,nd it helps a lot wif acne nd blackheads. I use bot zee black soap nd dudu osun Both 4 ma hair nd body.dudu osun for my body and zee black soap for my hair..but wana switch to dudu osun for my hair,because zee has helped my itchy scalp..I bot dudu osun yest for #120naira...tnx. 4 d review! I use Dudu osun for my hair, sometimes for my body. But I love it more on my hair. It gives me beautiful curls on my hair. I am a Dudu-Osun Babe anytime,anyday! Been rocking the soap almost 10yrs now and it's presently just 120naira sef...lol..not sure i can switch to another soap till Jesus Comes oh.. The soap leaves my skin refreshed and radiant! I ve bn using this Ghana black soap with lemon for about 2 months but my brother has used dudu for almost 7-8years now cos if he stops with patches like eczema will appear on his skin and it's itching him. Thanks for this review, I will switch completely to dudu now Bcos my scalp is very inchty. But is it cold water or warm water that I will use to melt it? Pls reply. I'm thinking of adding oil like, olive oil to the melted form. What do you think? does it remove discolouration?(hyperpigmentation). . And how many days does it take? It did make me darker so be careful. How long did it take for your skin to get used to the soap and be better, because I've been using it for a week and my skin is reacting, I've got rush all over my face. I'm not sure if I should carry on and wait or stop it. Does It help for pimpus Nd rashes? Thanks a lot. I'm going to start using it on my hair too. I've been using it only on my body. The roll of 6 is 700 naira. Enter your comment...does it help in fading sunburn? As at July 23rd 2016. The roll of 6 costs N1000. As at August 2017, I went to their store at agidingbi Ikeja and a roll of 6 coated 1,100. I wanted to cry. I pray the price comes down soon. i heard ds soap darkens the skin,is it true? Can I leave it on my face to overnight? Am really gonna try this. This pimples is giving me a lot of concern. Hope it works. It's N1,100 now from their direct dealer. But other retailers sell it at more expensive price. It's more expensive in shoprite Ikeja.